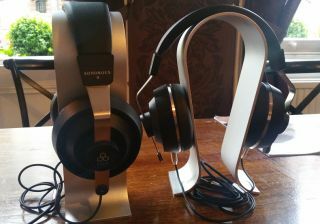 Final gets affordable with new Sonorous II and III headphones | What Hi-Fi? Japanese high-end audio brand Final isn't only concerned with gold headphones costing thousands of pounds - the new Sonorous II and Sonorous III both come in under £300. Final started life making cartridges for record players but has now found something of a niche making seriously expensive headphones, like the Sonorous X, yours for £3500. But the Final headphone range is now expanding to include some more realistic options. The new Sonorous II, £239, (above) and Sonorous III, £299, claim to use the same driver technology as the flagship model - but without the aluminium and stainless steel build, and, crucially, the 24k gold. The two new models have the same design and styling but have been tuned for a slightly different musical delivery. Final claims the Sonorous II keeps things analytical and flat across the frequency range, while the III aims to be a little more entertaining, adding some sparkle to the top end and a bit more punch to the bass. Both the Sonorous II and III feature a 50mm driver that integrates with the front plate in an effort to reduce vibration, with the plate itself made from polycarbonate strengthened with 30% glass instead of the aluminium found on the high-end models. This naturally makes them a lot lighter (410g) and cheaper. The new headphones have a closed-back design and full-size, noise-isolationg earcups, and come with a 1.5-metre detachable cable. The Final Sonorous II (£239) and Sonorous III (£299) join the more expensive Sonorous VI (£549), VIII (£2199) and X (£3499), all of which are on sale now.